1.8L TURBO SE,LEATHERETTE SEATING, 36 MPG HWY, PERFECT CARFAX...... NEVER ANY HIDDEN PREP OR DEALER FEES!!!! VW CERTIFIED, JETTA S AUTOMATIC, BLUETOOTH, ONE OWNER, CLEAN CARFAX, KEYLESS ENTRY,NO PREP OR DEALER FEES!!!! VW CERTIFIED, JETTA S AUTOMATIC, BLUETOOTH, ONE OWNER, CLEAN CARFAX, KEYLESS ENTRY.....NEVER ANY HIDDEN PREP OR DEALER FEES!!!! VW CERTIFIED, 1.8L TURBO, LEATHERETTE, BLUETOOTH, TOUCHSCREEN RADIO, ONE OWNER, CLEAN CARFAX.........NEVER ANY ADDITIONAL PREP OR DEALER FEES!!!!!!.. VW CERTIFIED, 1.4L S WITH TECH PKG, AUTOMATIC, BLUETOOTH, 39 MPG HWY, CPO WARRANTY EXTENSION.........NEVER ANY ADDITIONAL PREP OR DEALER FEES!!!!!! VW CERTIFIED, 1.8L SE WITH SUNROOF AND NAVIGATION PKG, REARVIEW CAMERA, PUSH BUTTON START, ONE OWNER, CLEAN CARFAX.........NEVER ANY ADDITIONAL PREP OR DEALER FEES!!!!!! VWCERTIFIED, 1.8L TURBO WOLFSBURG EDITION, BLUETOOTH, HEATED LEATHERETTE SEATS, ONE OWNER WITH CLEAN CARFAX..........NEVER ANY HIDDEN PREP OR DEALER FEES!!!!! VW CERTIFIED, 1.4L S WITH TECH PKG, AUTOMATIC, BLUETOOTH, 39 MPG HWY, BALANCE OF FACTORY PLUS TWO YEAR CPO WARRANTY EXTENSION.........NEVER ANY ADDITIONAL PREP OR DEALER FEES!!!!!! VW CERTIFIED, 1.8L TURBO, LE PACKAGE, REARVIEW CAMERA, HEATED SEATS, BLUETOOTH, ONE OWNER, CLEAN CARFAX.......NEVER ANY ADDITIONAL PREP OR DEALER FEES!!!!!!!!! VW CERTIFIED, 1.4L TURBO, SE , REARVIEW CAMERA, HEATED SEATS, BLUETOOTH, LEATHERETTE, ONE OWNER WITH CLEAN CARFAX..........NEVER ANY ADDITIONAL PREP OR DEALER FEES!!!!!! 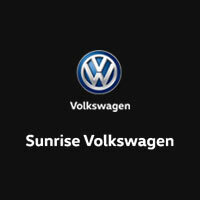 Visit us at Sunrise Volkswagen! Why buy used? When trying to get all of the bells and whistles you want in your vehicle and trying to stay within your budget, buying used can benefit you. At Sunrise Volkswagen near Oceanside, NY, you’ll find an affordable vehicle with the features you want. Contact us when in the Islip or Babylon area to schedule a test drive and find the vehicle that works best for you. Oceanside drivers can get the same advanced safety features, integrated technology, and classic style of a Volkswagen in a pre-owned model. We ensure quality in our used Volkswagen models by passing them through strict inspections and including a detailed vehicle history report and warranty coverage for you. For more information about any vehicle on our lot, contact us today or stop by our Volkswagen dealership in Lynbrook, NY.